iDesignMeetings sees the importance of communication and creativity, and these values drive our close relationships with our clients. Be it a last minute request or a dreamy vision, we are dedicated to making our clients the happiest they can be while minimizing stress during their program. We view ourselves as an extension of our client’s company, and our team strives to execute each detail in a manner that makes our clients proud to work with iDesignMeetings. As a more boutique DMC, we pride ourselves in our ability to suggest more unique experiences for our clients, instead of proposing the same generic concepts that dominate our large market. Our more specialized team also allows us to ensure that communication is quick and personal. Once you’ve established your point of contact with us, we won’t shuffle our clients around to other team members. Our clients can rest easy, knowing that they receive a guarantee of dedicated staff that remain committed throughout the execution of the experience. "When you talk about a partnership, iDesignMeetings is a team of true professionals. They treat my successes as their successes and they go above and beyond in all they do to make sure that everything is flawless. " "Our attendees thought the event was great. They loved the vibes and energy. It all came together perfectly. Our senior-level leaders provided compliments about our collaboration—we were all on the same page and it felt very comfortable. Thank you for alleviating our stress!" "We consider them an extension of our team and look to them for quality solutions, competitive pricing, and flawless delivery. They are our vendor, our partner, and, most importantly, our friends." "iDesignMeetings made me feel at ease and well taken care of. I felt very secure with our entire package. Not only did they meet my expectations, they exceeded them." "Not sure that there is anything that could have gone better! The whole team was great and everything went really smoothly onsite, even with a pushed back schedule. iDesignMeetings coordinated and took care of everything." Only a four-hour flight from either coast, Dallas/Fort Worth is the nation’s fastest growing region. Come on down and let our southern hospitality show you why! As Dallas/Fort Worth explodes with new business, so too does our hotel and meeting space! As Dallas is set to open six new hotels, including a Dream Hotel in 2016 and a Virgin Hotel in 2017, the reasons to visit just keep growing. The Kay Bailey Hutchison Convention Center, connected to the Omni Dallas, is one of the largest in the nation, and Dallas boasts the most restaurants per capita in the nation, making dinearounds a breeze. 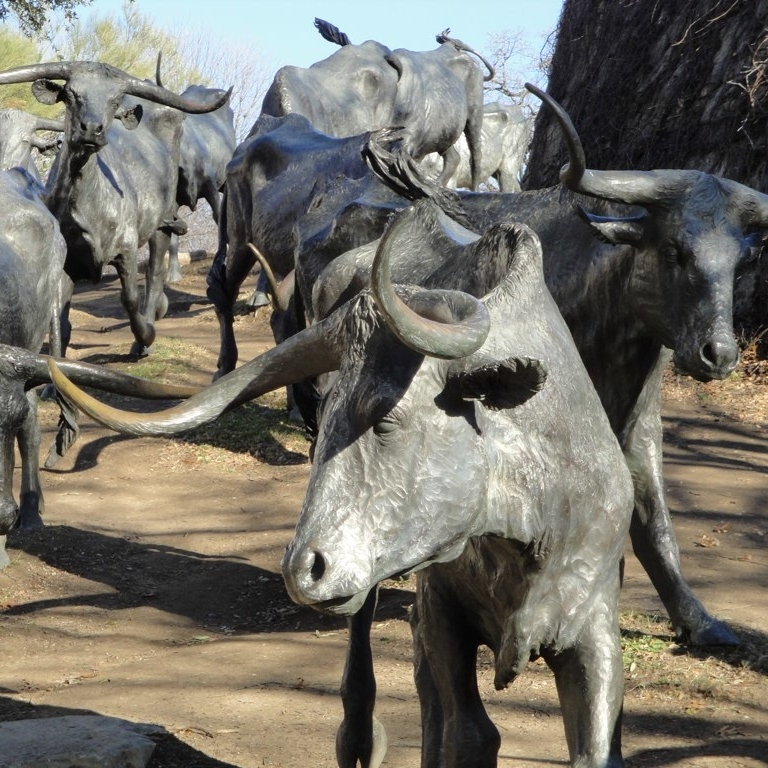 At only 35 minutes away, Fort Worth offers culture, history, and the nation’s best barbecue! Hotel choices for any client demographic – from upscale boutiques to 1,000+ room with expansive meeting space. Some of the nation’s most exciting sports teams make for adrenaline-pumped entertainment year-round. Dallas loves to dine – our culinary landscape is expansive and constantly innovating in the most delicious way. The nation’s third largest airport, DFW, is only 20 minutes from both Dallas and Fort Worth. In the next two years, Dallas is welcoming two luxury boutique brands—Dream Hotels and Virgin Hotels—an exciting draw on their own. 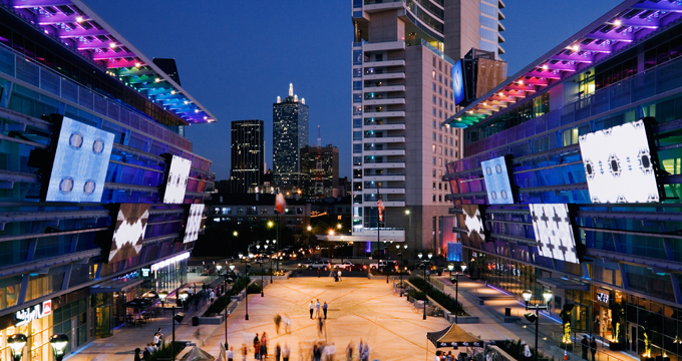 With multiple thousand-room hotels within 10 minutes of the convention center, Dallas is geared toward meetings. Klyde Warren Park, opened in 2012, is a 5+ acre park right in the heart of Downtown/Uptown, on top of an overpass! Dallas’ restaurant scene is constantly innovating and reinventing – our culinary landscape is outstanding! 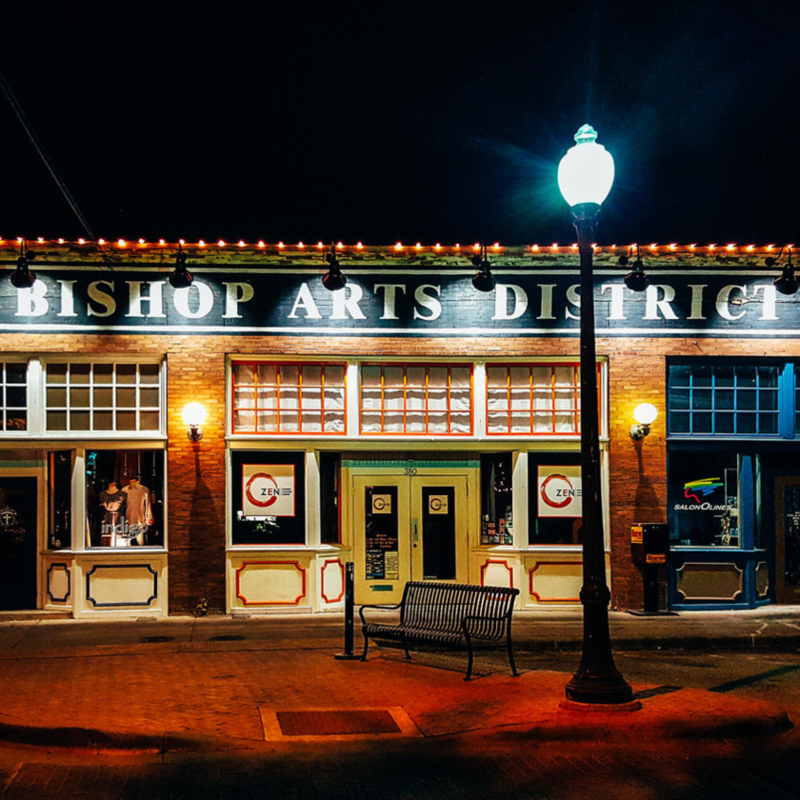 Shop, dine, and explore the quaint Bishop Arts District. 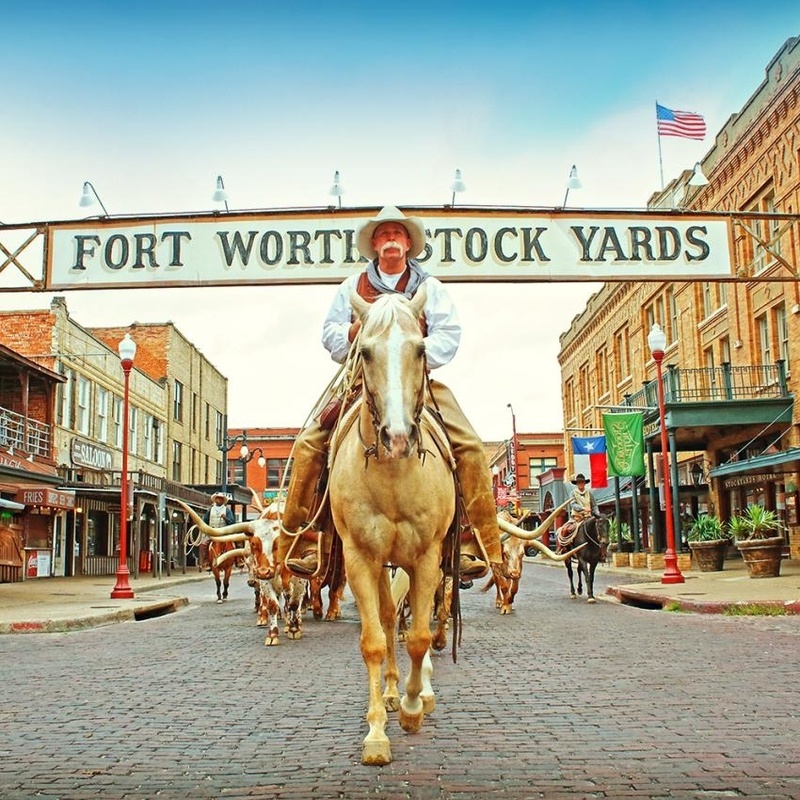 Watch the cowboys drive cattle down Exchange. 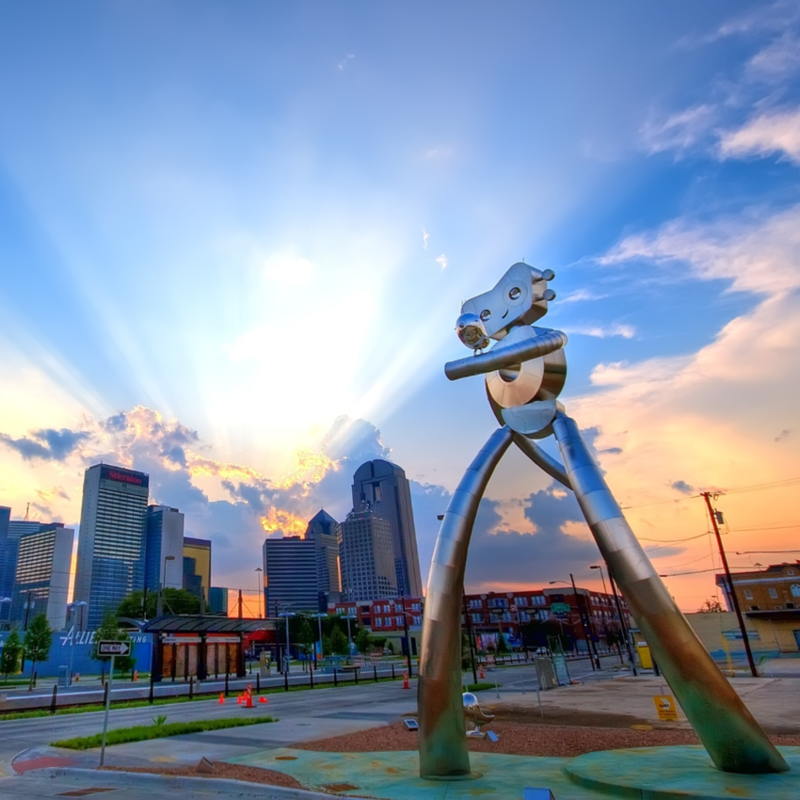 Get in touch with your artsy side in Deep Ellum. Get a pair of custom cowboy boots made in the Fort Worth Stockyards. Ride the McKinney Trolley to one of the hundreds of amazing restaurants.